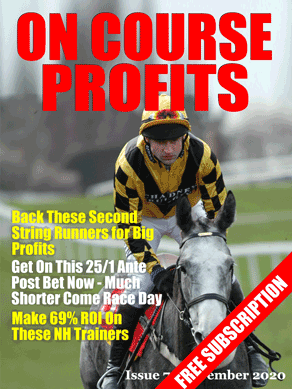 Hello and welcome to the latest Betting Insiders Club news update. Nick Hardman is an integral part of the team here at the Insiders Club and he provides the flagship Club Portfolio tips (Big Race Coverage) which cover every weekend and many of the better quality midweek festivals such as Cheltenham, Royal Ascot and Glorious Goodwood. The second campaign in 2016 ended with cracking gains of +851 points profit combined with a commendable +31% Return on Investment and the Win/Place Strike Rate ended at 23% over the 12 month period. We suggest a 200pt operating bank at the start of each campaign and to date this has coped comfortably with the inevitable ups an downs along the way. The results are based on the suggested 2pt level stakes, either 2pts straight win or 1pt Each-Way and the prevailing prices at the time the selections were made available. Nick specialises in the big field open handicaps and will often go with more than one selection depending on how the market is shaped. For those priced around 10/1 upwards he will suggest an Each-Way play as a placing often recovers the stakes and some which helps both protect and keep the bank ticking over. It was always going to be a tall order to follow on from the dizzy heights of 2016 but overall 2017 achieved a decent return with 8 of the 12 individual months ending with profits. March was the first dip in results but a stonking April soon sorted that out and the Sept/Oct blip was quickly recovered with a cracking November. The suggested bank coped admirably along the way and the initial 200pts was more than doubled with +335pts profit although as ever we recognise that individual folk may have a different tally depending on which books and prices they were able to get on with. All in all a very commendable performance by Nick which has been reflected by the numerous positive comments posted by the members who have enjoyed following his endeavours. The 2018 campaign has been quite a challenging one with elements of one step forward and two steps back at times. As a result with just a month to go this year was sitting at +127 points profit. Nick has already pencilled in to do a detailed review of the campaign once it completes with a view to implementing a few key changes to focus on getting back to previous levels of performance. Although the Big Race Coverage is a key component of the Insiders Club there is plenty of other quality content to keep members busy with. The monthly Members Reports are published in a handy 52 page A5 format and contain numerous fresh ideas and strategies devised by our team of industry respected contributors. We also have big plans for 2019 with a brand new format which will be published weekly and therefore will be even more timely as it will be even closer to the live events it will cover. Each month we take a selection of the micro methods detailed in the Reports and put them through their paces in live trials on the Club community/forum. Alongside these are the qualifiers from a number of proven strategies which when combined provide a great start point for members who enjoy a punt on a daily basis but may not have the time to carry out their own in-depth form study. Each morning the qualifiers are detailed on the forum threads and Members can develop a portfolio approach around the angles that suit their own particular style of punting. One key aspect of the last 11 months has been the addition of daily Stat Pointers from pro-pundit/punter John Burke and these have proven to be a very profitable source with 300+ points gained at a commendable +17.84% ROI. Overall there have been 7 profitable months out of 11 to date and these can also be played via the exchanges if you have issues with bookies restrictions etc.